Sometimes, the simplest solutions are the smartest. That’s the case with Microsoft’s sleep proxy project, which preserves remote access to corporate desktop machines while allowing them to remain in sleep mode. Consider: Many people leave their work PCs on when they leave in case they need to access files while at home or at meetings. Powering them up and down takes lots of juice, too. IT departments also may want PCs powered on to perform maintenance. But this wastes energy–a big problem when you take into account that enterprise desktop computers consume an estimated 65 TWh of energy each year (equivalent to the entire domestic energy consumption of Romania). 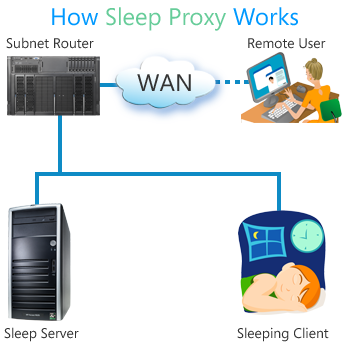 Microsoft’s solution: a so-called sleep server that maintains the network presence of a sleeping computer so that it can be awoken when someone requests remote access. No special hardware is required, and according to Microsoft representatives, the server doesn’t significantly impact the time that it takes for a computer to wake back up when someone returns to the office. Microsoft is already testing the sleep server at its Redmond campus with positive results. Once the technology is released to the public, we can’t imagine why energy-conscious companies wouldn’t jump on it immediately.